6 May 2010 – HSBC FEI World Cup Eventing takes place at opposite ends of the globe this weekend (7-9 May), with the third and fourth events in the 2010 series taking place at Sydney (AUS) and Marbach (GER). A new reciprocal arrangement between the organisers of last month’s Kihikihi CIC***-W (NZL) and Sydney has meant that Australian and New Zealand riders have received funding to travel across the Tasman Sea to compete in these events. As a result, two New Zealanders, Clarke Johnstone, currently lying equal fifth in the HSBC FEI World Cup Eventing standings, and Jenna Mahoney, ninth, will be contesting Sydney. Blair Richardson, the third Kiwi entered, already lives in Australia. 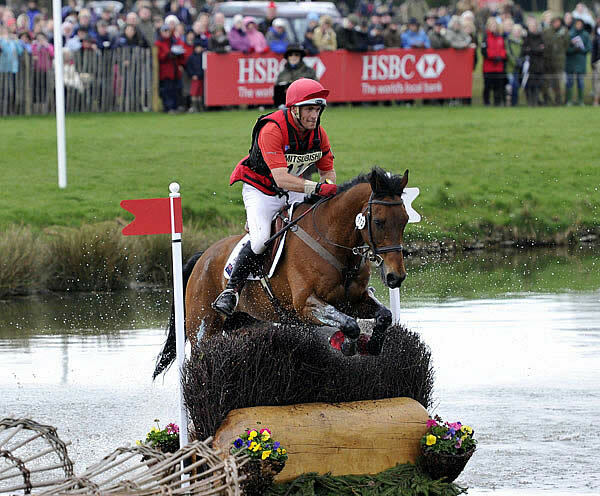 Paul Tapner (AUS) and Inonothing galloped into the lead at the Mitsubishi Motors Badminton Horse Trials, the second leg of the HSBC FEI Classics, after picking up just 0.4 of a penalty in the Cross-Country (Photograph: Kate Houghton). 2 May 2010 – Paul Tapner (AUS) was clearly overjoyed as he came through the finish line at the Mitsubishi Motors Badminton Horse Trials (GBR) on his second ride, Inonothing. His celebrations were more than justified as, after an enthralling and dramatic Cross Country day, he found himself in the lead at a 4-star event for the first time. The track at Badminton, the second leg of the HSBC FEI Classics, proved as enigmatic as ever, taking its fair share of high-profile scalps, including all the top five riders after Dressage. If Tapner wins tomorrow, he will be the third Australian rider to do so in the last four years, following Andrew Hoy (2006) and Lucinda Fredericks (2007). Badminton first-timers Kai Rüder (GER) and Le Prince Des Bois lead after the dressage at the Mitsubishi Motors Badminton Horse Trials, the second leg of the HSBC FEI Classics (Photograph: Kit Houghton). 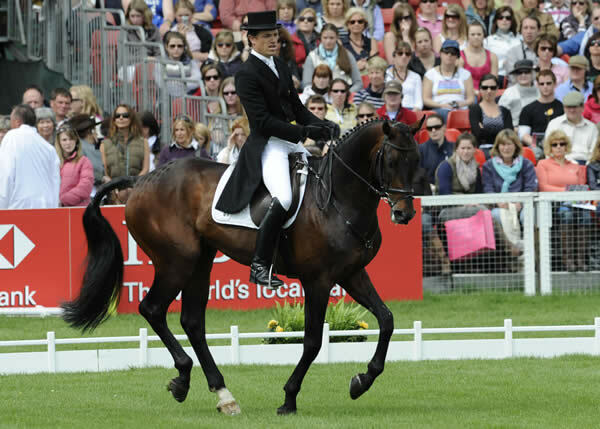 1 May 2010 – Kai Rüder (GER) and his powerful stallion Le Prince des Bois held an appropriately regal lead at the close of Dressage at the Mitsubishi Motors Badminton Horse Trials (GBR), the second leg of the HSBC FEI Classics. Rüder, 39 and making his Badminton debut after a 20-year quest, has a 5.8-penalty lead over first day leader Ruth Edge (GBR) on Two Thyme ahead of what is predicted to be an influential Cross Country day due to the forecast heavy rain. The leading duo finished 10th at Burghley (GBR) last year – when Rüder won the HSBC Training Bursary for the best 4-star debut – and have spent the last month based in England with German team trainer Christopher Bartle (GBR). Le Prince des Bois, who performs a reliably expressive Dressage test, is by Yarlands Summer Song, the stallion ridden with such panache at Badminton in the 1990s by France’s Marie-Christine Duroy. April 20, 2010 Lexington, KY. 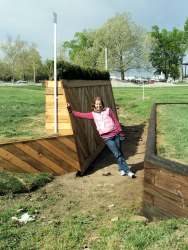 The Eventing Radio Show, part of the Horse Radio Network, plans to mark its second year of coverage of the Rolex Kentucky Three Day Event with extensive reporting, interviews, news and views from the 2010 event, which takes place from April 21-25th at the Kentucky Horse Park. This year’s event will also be the test event for the World Equestrian Games so the show will include a preview of what visitors can expect later this year. With the inclusion of Britain’s Oliver Townend in the line-up attempting to be only the second rider to win the $250,000 Rolex Gland Slam, plus a total of seven nations competing for North America’s only four star prize, there will be plenty of action for the Eventing Radio Show team to follow. “Since our debut event coverage at last year’s event our weekly show has built a worldwide audience in some 37 countries and with that we have created a devoted fan base, which is both dedicated to the sport and eager for event coverage. It’s exciting to be able to offer the show as a valued resource and with our team of experts we look forward to providing all the highlights and more of this prestigious event,” said Chris Stafford, Host. This year’s event kicks off as usual with the veterinary inspection on Wednesday afternoon, which will launch our daily coverage together with a preview of the record number of entries for this four-star event. 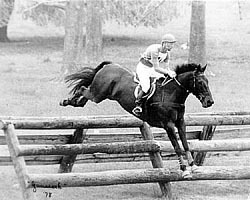 One of the Eventing Radio Show’s favorite co-hosts, Max Corcoran, will be preparing Mandiba for her rider, Karen O’Connor. Several of our guests from the past year will also be in the running or officiating so we’ll be sure to catch up with them too. Plus our Rolex Quiz winner will make their special appearance during the event. Each special episode will review the competition of the day and preview the follow day with interviews and comments for our team of experts. Tune in to www.eventingradio.com each day of Rolex to be sure to catch all the action. The Eventing Radio Show will also be supporting The Chronicle of the Horse with their live interactive blogging coverage of Rolex. Chronicle staff will provide play-by-play of the events as they unfold and viewers will be able to chat along. You can follow the fun coverage at www.eventingradio.com or www.chronofhorse.com. We will be doing daily wrap up shows from Rolex beginning Wednesday and running through Sunday. This blog – HorsesintheSouth.com’s blog aka AHorseBlog.com – will receive the code for the shows every evening by 9 or 10 PM Eastern. Also, we will have a link for the Chronicle of the Horse’s CoveritLive live blogging coverage of the Dressage on Thursday and Friday. 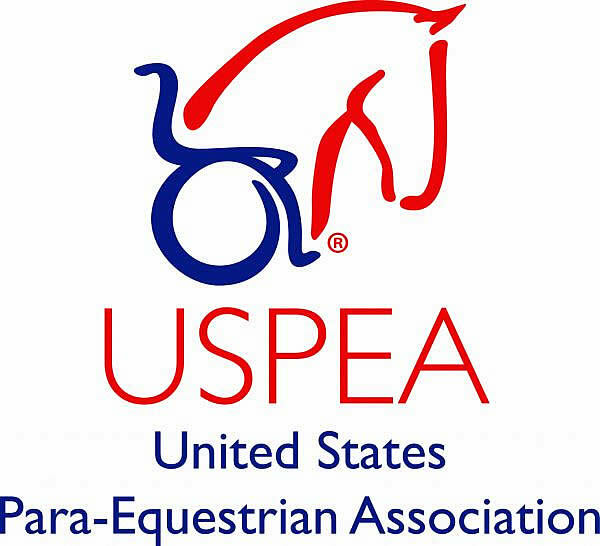 Jimmy Wofford talks about safety on this week’s show and we also have a report from Jennie Brannigan on Southern Pines Horse Trials. Ashley Adams is the co-host. Listen in. Lausanne (SUI), 19 April 2010 – All horses show normal nerve sensation or sensitivity. Where that sensation is increased beyond normal limits it is called hypersensitivity. Hypersensitivity can be produced by a range of normal occurrences, such as an insect sting or accidental self-inflicted injury. Hypersensitisation is the term used to define the artificial production of hypersensitivity and is contrary to horse welfare and fair play. At FEI competitions, the determination of hypersensitivity in the horse is made by a combination of thermographic and clinical examinations, carried out by at least two experienced equine veterinarians. Thermography is a means of detecting abnormal heat patterns of the skin through the use of an imaging camera. The clinical examination is carried out by observation and palpation (applying manual pressure).